Bike culture has seen a dramatic change in the last decade. According to the 2014 Statista Report, there are more than 67 million riders in America, an increase of 20 million riders since 2008. Where car sales have stabilized or even decreased, bicycle purchases have more than doubled. As more people see the health, economic and other effects of cycling, more trips that used to be made by care are being replaced by leg power. Cities like Portland, San Francisco, Minneapolis and Washington, D.C. are seeing more and more bike commuters each year. However, even with the ever increasing number of cyclists on the road, there are still many challenges facing bike riders in the US. In cities like Amsterdam and Copenhagen where biking is the norm, in the US, a majority of people, especially drivers, still see cycling in a different light. This difference in perception has created invisible barriers to increasing overall cycling activity. The results of a study commissioned by PeopleForBikes.org in 2014 revealed several of these barriers. One is the lack of bike infrastructure (i.e., protected bike lanes and separate paths). This was found to dissuade a third of respondents from cycling more often. Other problems include lack of access to bicycles especially among lower-income households. The study found that the major issue why Americans cycle less often is safety. In the study, 54% of respondents admitting that they are afraid to be hit by vehicles while cycling. This is a significant concern for cyclists in areas without protected bikes or wide shoulders for cycling. 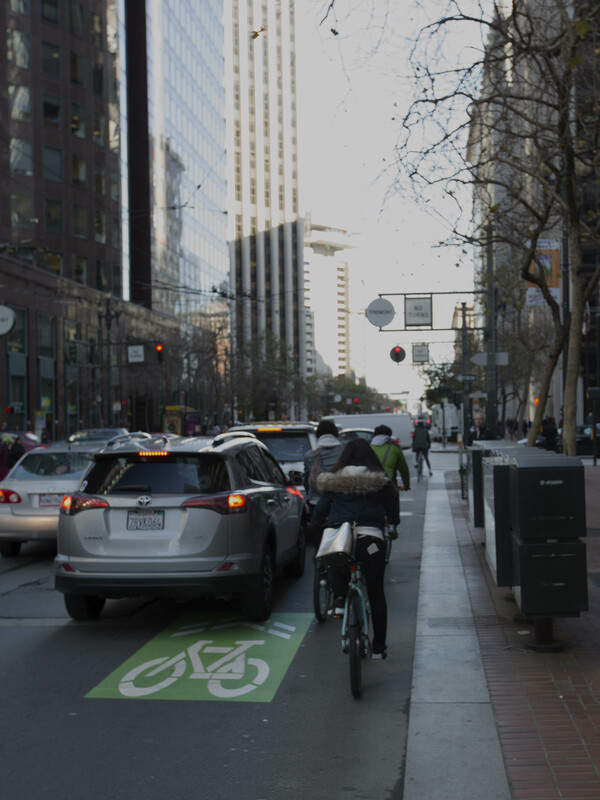 The study found that 46% of its participants would be more inclined to ride a bike in protected bike lanes, ones that are physically separated from vehicular traffic, as opposed to being forced to ride in the same lane as traffic. If a city has the goal of encourage a greater amount of cycling, politicians would be well-served to review the concerns of those who, but for the safety concerns, would cycle more often and replace a greater number of car trips with bicycle trips. 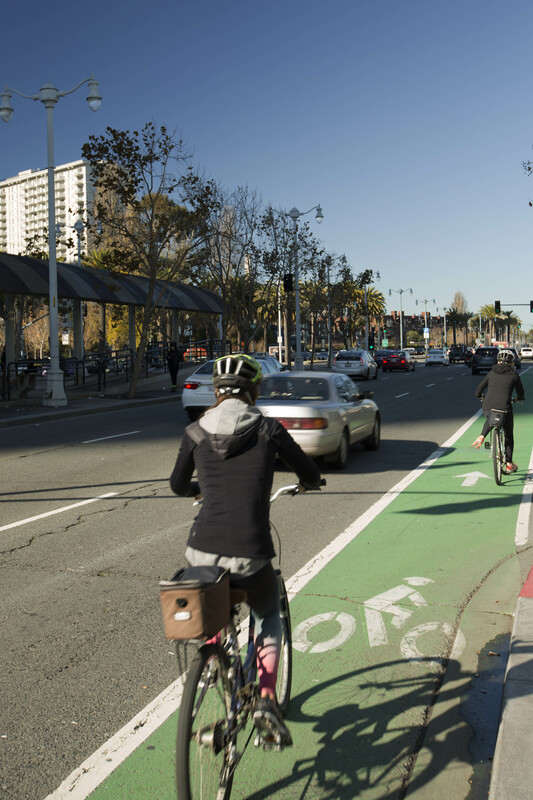 Overall, the survey results indicated that respondents want to see more protected bike lanes because it found safety was a major concern of the participants. The first thing that is needed in greater quantity is biking infrastructure. Another major issue is bike theft. To help combat bike theft, the construction of secure parking for bicycles is also important. Cities in the US that have high cycling rates, such as Chicago, San Francisco and Portland, all have good support and investments from city governments. 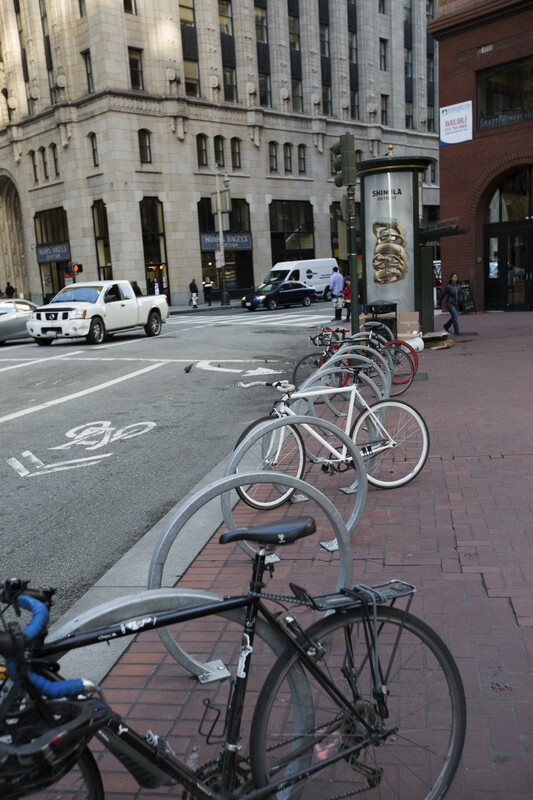 In San Francisco, the SF MTA has constructed bike lockers and have installed bike stands throughout the city. 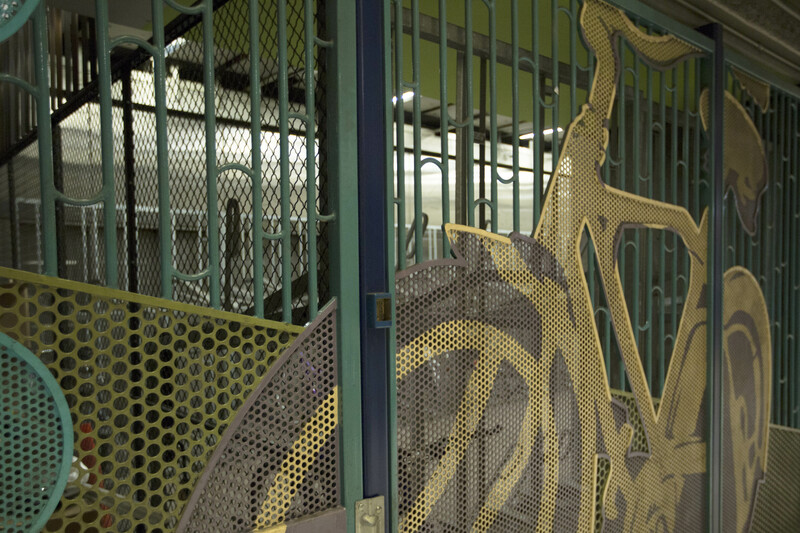 Other systems, like BART (Bay Area Rapid Transit) has bike parking which offers protection from the rain and a safe area where bicycles can be left without fear of being stripped at the end of the day. 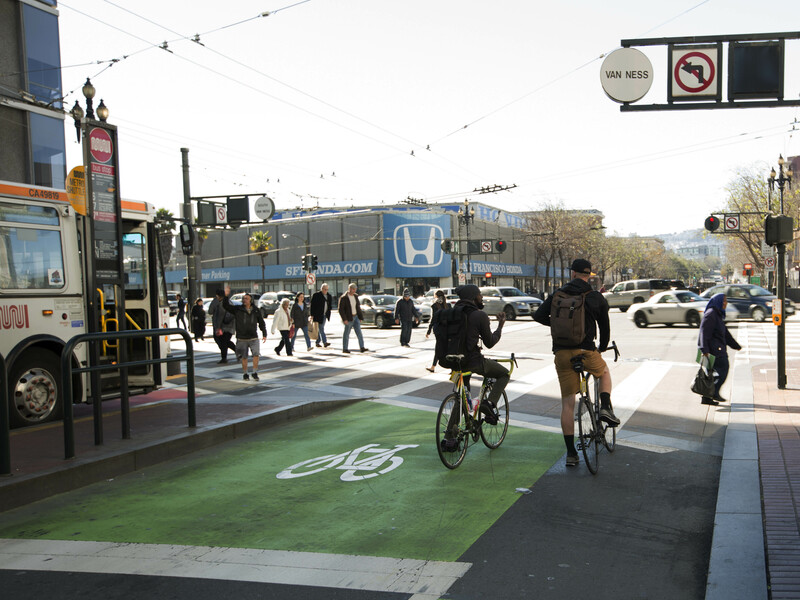 These are two systems in San Francisco that are helping make commuting by bike safer and more worry free. There are also bike lanes and pathways, parking and well-connected bike roads are a few examples of initiatives by governments to promote use of the bicycle. 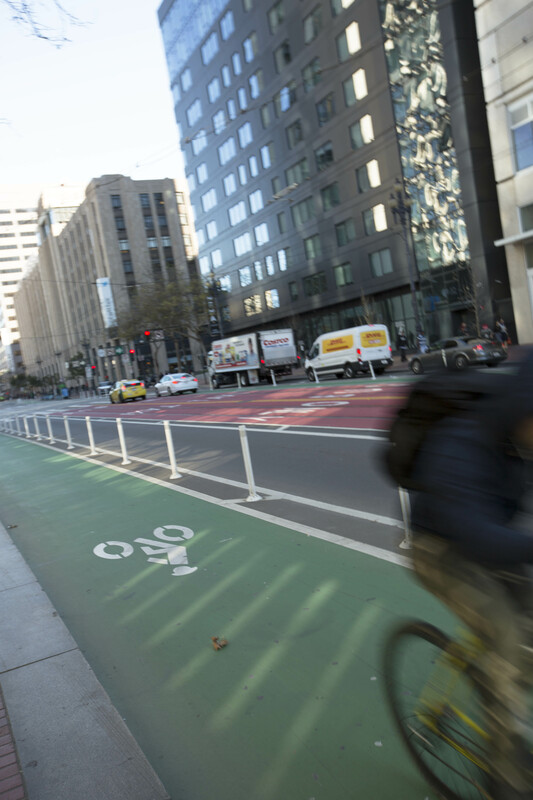 The San zFrancisco Bike Coalition has helped map out many of the routes used by cyclists, some of which are now being made into protected bike lanes. Others like the Marin County Bike Coalition have helped with the transformation of “rails-to-trails” throughout the county as well as advocacy for improvement of the road surfaces. Bike education programs were also rolled out which included safety tips such as fitting bicycles with proper lights like LEDs to enhance day or night time visibility, wearing of crash helmets, high-visibility clothing gear and the like. In addition, there were bike-sharing and cost-sharing programs that largely, encouraged more people to ride bicycles than drive motor vehicles whether it is for recreation or as a means of transportation. As the number of cyclists in the US grows, the number of cyclists and car encounter also grows. The key to keeping people on their bikes is education and keeping everyone (both cyclist and driver alike) as safe as possible while they are on the road. Happy riding and keep the rubber side down. This entry was posted in Tips & Tricks by weliketobike. Bookmark the permalink.